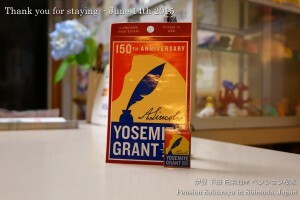 2015/06/29 Thank you for staying with us! It’s the second time for her, but he came to Japan for the 1st time. 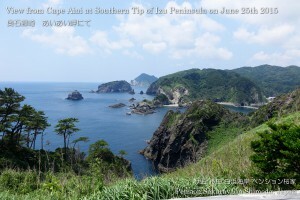 They stayed on the west side of Izu peninsula before coming to Shimoda and went to Ito city after Check-out. 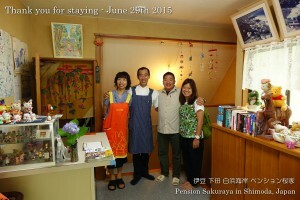 We had very happy time with happy couple from Hong Kong. We are looking forward to meeting you one day again! This entry was posted in Customers, Pension Sakuraya on 2015年6月29日 by izusakuraya. 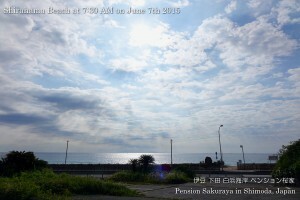 We had sun light through the clouds this morning, but the sky was covered with a lot of clouds after that. When I went to the beach at around 3:00 PM the Semi-Final of surfing competition had been already finished, but they had offshore wind and waves better than yesterday. 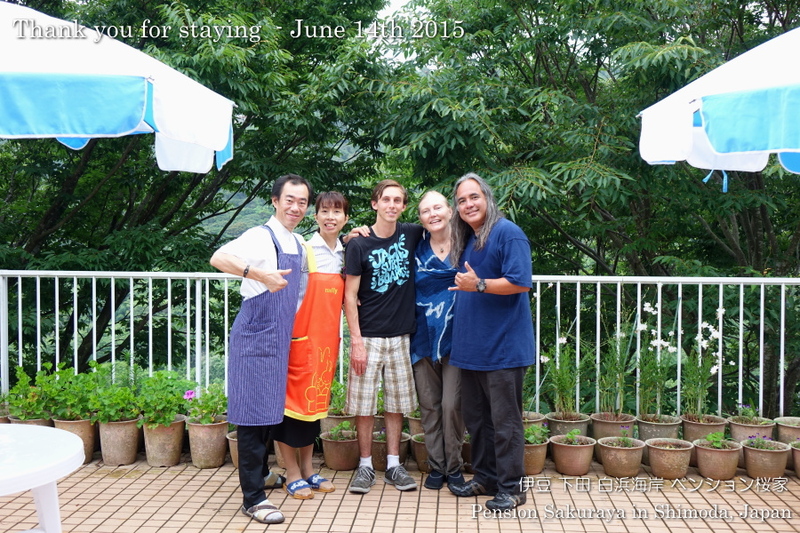 This entry was posted in 未分類 on 2015年6月27日 by izusakuraya. 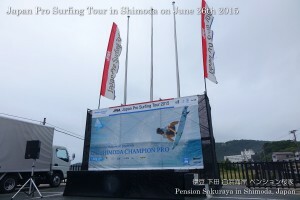 Japan Pro Surfing Tour is taking place in Shirahama for 3 days this weekend. But they don’t have good waves. 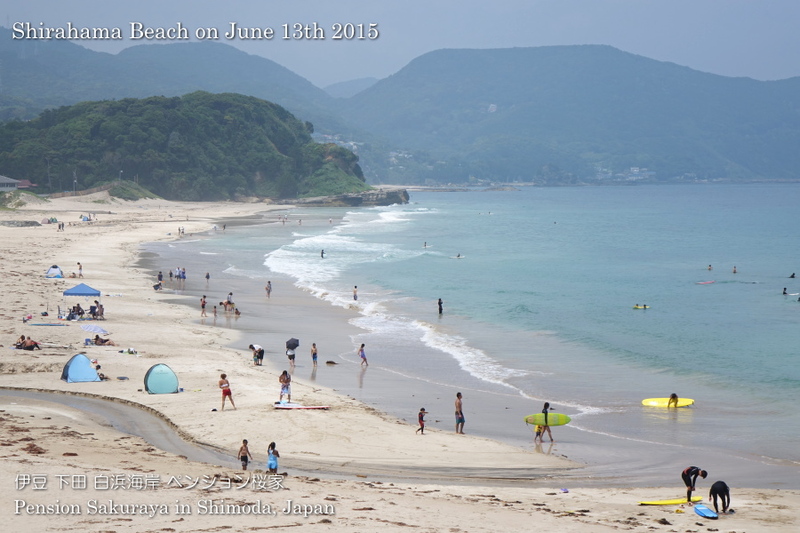 This entry was posted in beach on 2015年6月26日 by izusakuraya. 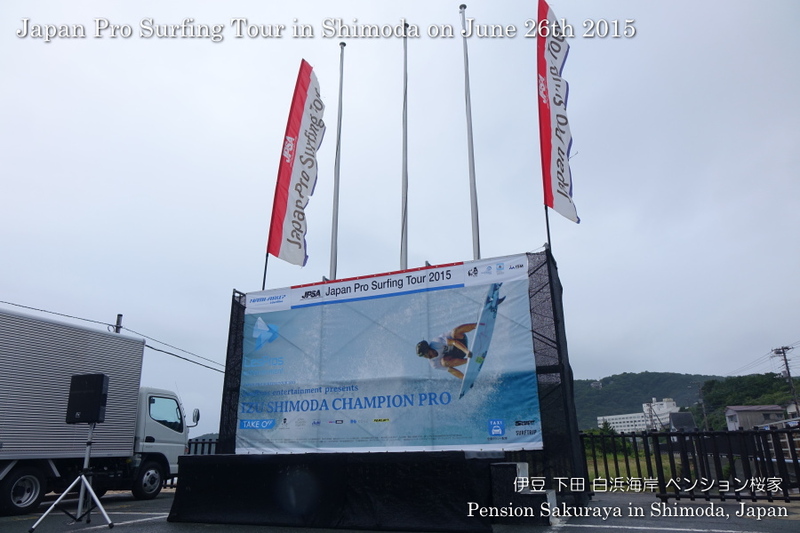 It was almost sunny and very hot here in Shirahama today. 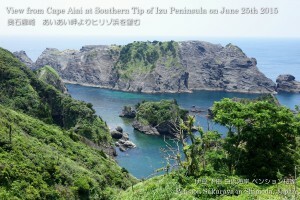 My wife and I went to Shimoda, and I went to Cape Irozaki, the southern tip of Izu peninsula, while my wife was shopping. We can get the beautiful scenery from Cape Aiai and this place is one of good view points and my favorite places in Izu peninsula! This entry was posted in nature, Sea on 2015年6月25日 by izusakuraya. 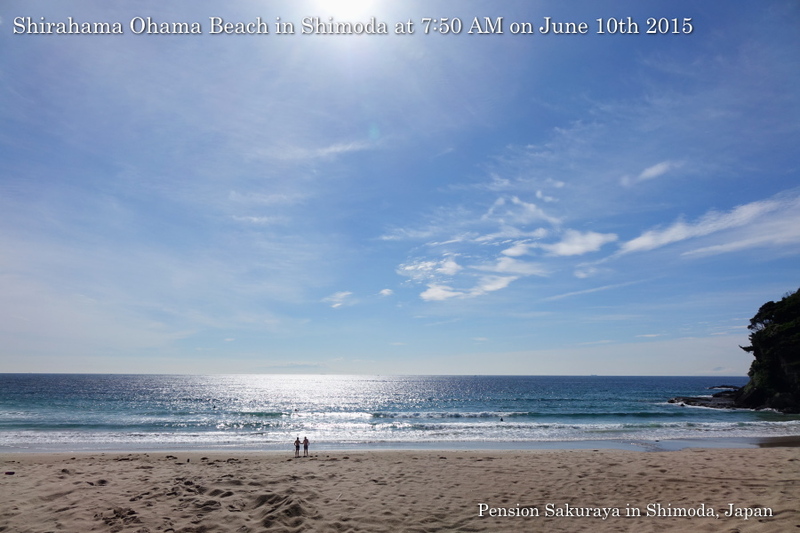 Today the new video of Shirahama beach and Shirahama shrine, which was taken from the sky, was published on Youtube. Click and see the gorgeous beach “Shirahama” in Shimoda! 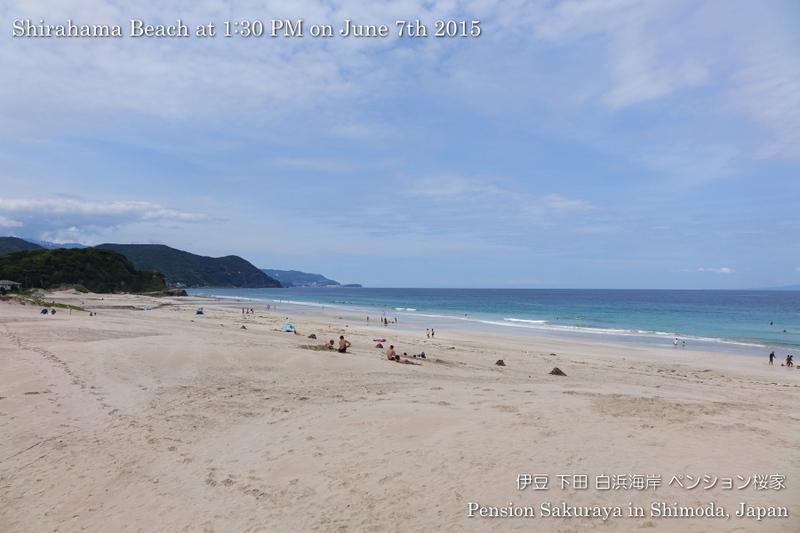 This entry was posted in beach, Video on 2015年6月17日 by izusakuraya. 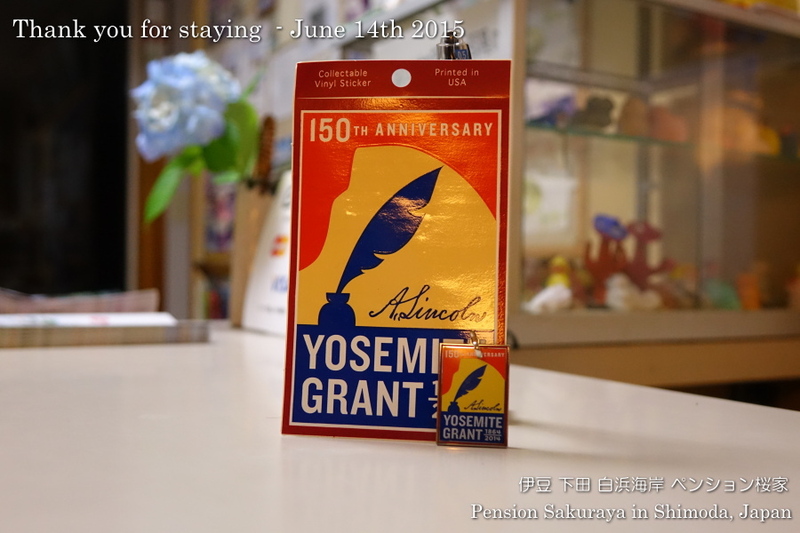 2015/06/14 Thank you for staying! They came from California in the United States and stayed for 5 nights. It was a second time for us to welcome them since 2 years ago. 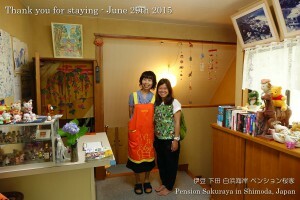 During their stay they had a lot of experiences, for example, Hydrangea festival at Shimoda park, walking in the town of Shimoda and around Shimoda harbor, Cable car (Ropeway) at Mt. Nesugata in Shimoda, Food Spa at the train station, Seven waterfalls in Kawazu town, Sushi bar, Wasabi icecream, Soba noodle with natural Wasabi and loooot of things. 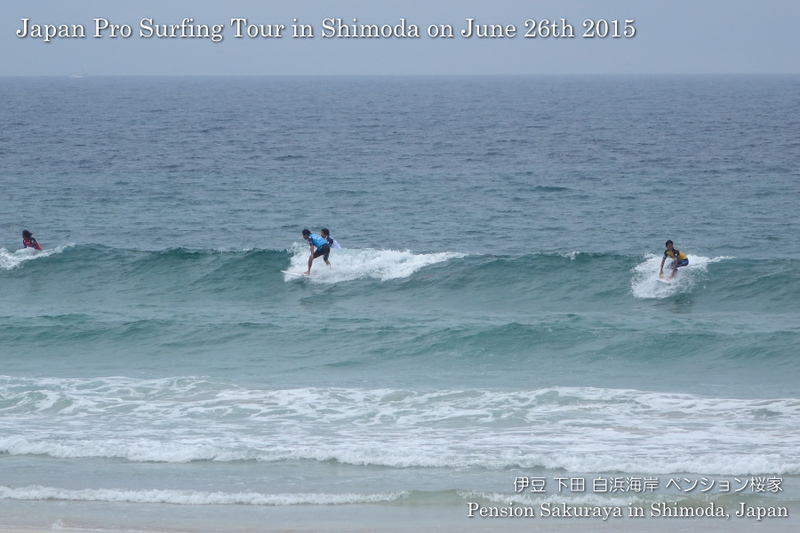 In addition, of course, they went to the beach for walking and surfing every day. This entry was posted in Customers, Pension Sakuraya on 2015年6月14日 by izusakuraya. When I took my daughter to the school by car I took pictures from the seaside road. There were some people with swim suit on the beach, but they didn’t have good waves for surfing. 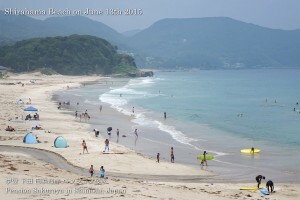 This entry was posted in beach on 2015年6月13日 by izusakuraya. After I took my daughter to the station by my car I went to the beach to take photos quickly, because I had to prepare breakfast for our customers this morning. There were 2 people swimming in the water without swim suit this early morning!! 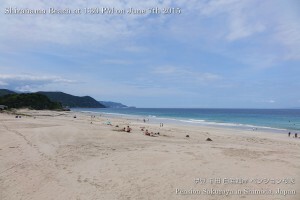 This entry was posted in beach, nature on 2015年6月10日 by izusakuraya. We had a little heavy rain last night, but the rain stopped for a while this morning. After I took my daughter to the school I stopped my car on the seaside road and took this picture. 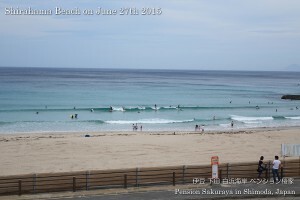 Is it good condition for surfing? 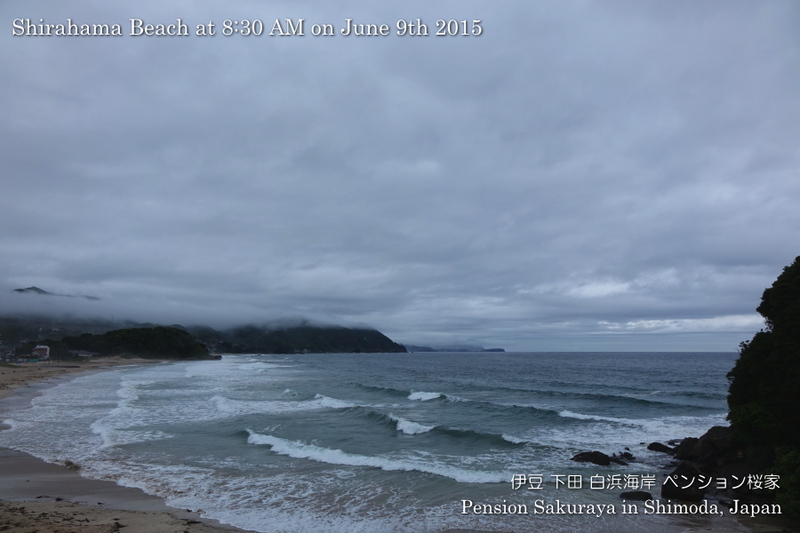 This entry was posted in beach, nature on 2015年6月9日 by izusakuraya. It was sunny, but there were a lot of clouds in the sky today. We can see much more people with swim suit than last month. This entry was posted in beach on 2015年6月7日 by izusakuraya.